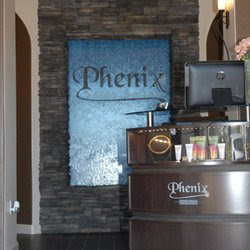 WE’RE NOW IN THE BEAUTIFUL PHENIX SALON SUITES IN RANCHO SANTA MARGARITA! As the old saying goes, all good things must come to an end. As much as I have loved the past four years being a part of Planet Beauty, a new beginning was in order, so that I may better serve my clients’ needs. My new location is larger, in a facility that offers other beauty treatments such as hair, nails, massage and botox. Many people I have told about my new location know about the location because their hairdresser or nail person is there. I’m just so excited, because this is truly a move up for me and especially for you, my wonderful clients! I can’t wait to see all my skincare clients in my new location, within Phenix Salon, Rancho Santa Margarita and to show you everything that is new and cutting edge. But fear not, the personal touch and individualized attention that you have come to expect from Skincare By Di is one thing that will never change!